The small storage jar Meryl White by GreenGate is in the shape of an egg. 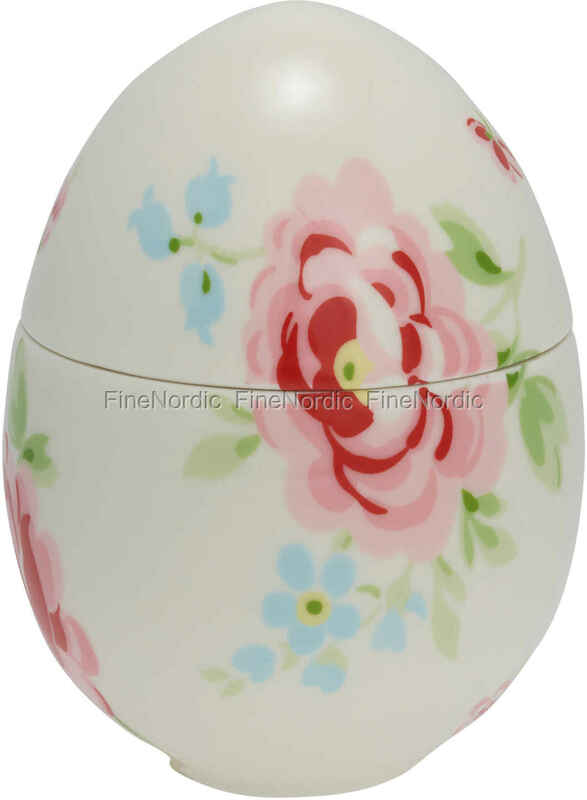 It is decorated with a beautiful floral pattern in pastel colors and you can lift up the top part and use the egg as a storage option. Hide your favorite rings, small heirlooms or some coins in it and keep it on the bathroom shelf or on the bedside table. We love it when products not only look good but are also useful. If you like this floral pattern, then have a look at all the other GreenGate Meryl White products we have available in our web shop.